I. Have you been to the new glassybaby store on design-laden Sacramento Street? I hadn’t until this weekend, and now I am completely obsessed. The glass votive company (or whatever other creative purpose you can imagine for these gorgeous tumblers) started 15 years ago in a Seattle garage, and recently opened a Presidio Heights store-front. 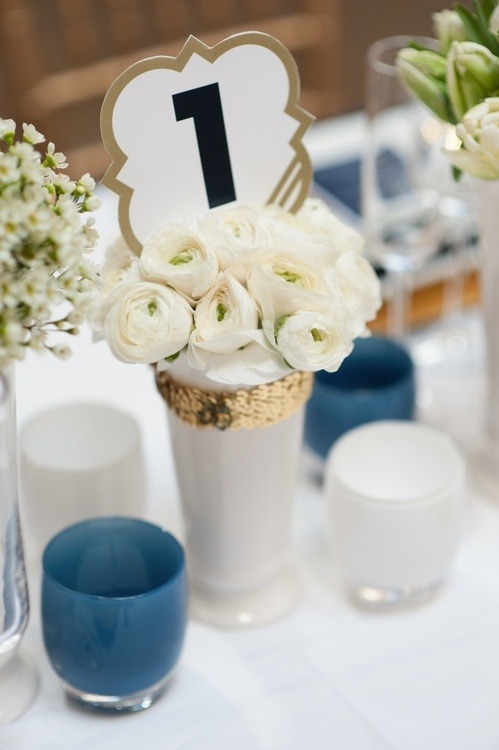 Beyond producing beautiful decorative objects in 400 colors, the company donates part of its proceeds to cancer charities ($1.5 million at last count). Curate your collection by joining the Color Club, which will ship you a glass in a new shade every month. II. 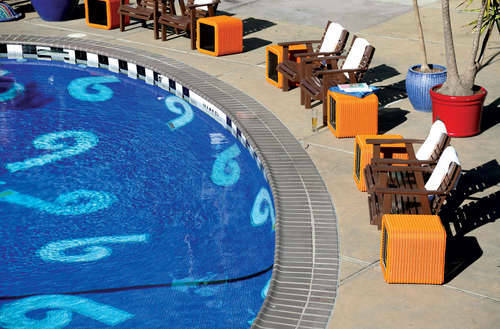 Our recent heatwave spurred one of the raddest Thrillist articles I’ve read to date: How to Sneak into Five of the Best Pools in SF. Though temperatures have dipped ten degrees since last week, global warming ensures that we’ll see another bout of summer soon. While almost none of us have AC, evidently we all have pools (if you’re willing to take a few calculated risks). See you at the Phoenix! III. With Memorial Day weekend around the corner, I’m already menu planning for the plethora of fallen-hero-honoring barbecues that I’ll be cameo-ing this weekend. 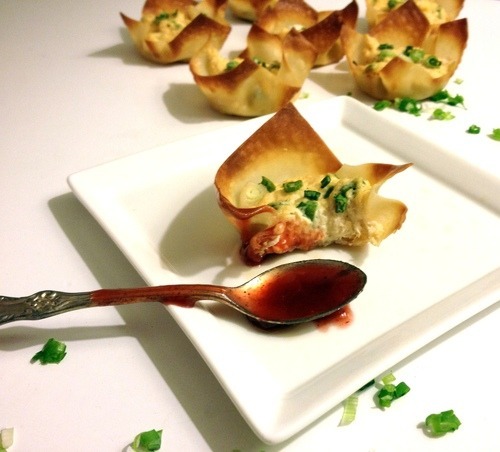 My favorite crowd-pleading appetizer to contribute to parties is my healthy(er) variation of the Crab Rangoon. Coming together in less than twenty minutes, these delicious wonton-wrapped bites are as simple as they are decadent. IV. Confession: I don’t love baking. It’s messy, inconsistent, and quite rarely as aesthetically pleasing as the confections you can pick up at your local Safeway bakery (though admittedly, homemade is more delicious). These custom-patterned rolling pins, however, may change that perception. 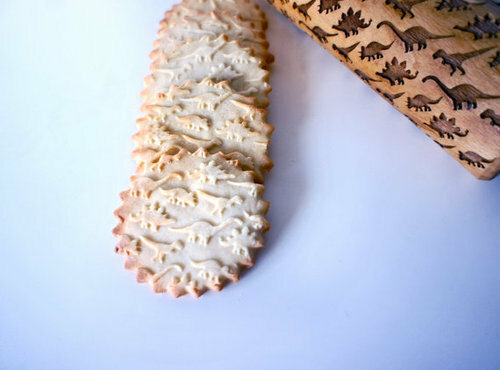 While a T&T monogram is decidedly chic, this dinosaur rolling pin is AMAZING!! Pick your favorite creature or print and spice up your baking repertoire via this Etsy store instantly. V. Okay, so I know that I posted about this last week - but I’m so excited about the Rooms That Rock 4 Chemo launch party tomorrow that I can’t resist urging you to attend once more. We’ve partnered with the San Francisco Giants, who’ve taken the cause so seriously that they sent out a few delegates from the team (painting suddenly becomes so much easier when you’re doing it next to Matt Cain) to volunteer over the weekend. Tickets are $15, get you a cocktail and a stab at our awesome raffle - plus you’re helping us brighten the day of people fighting cancer. DO IT!! !